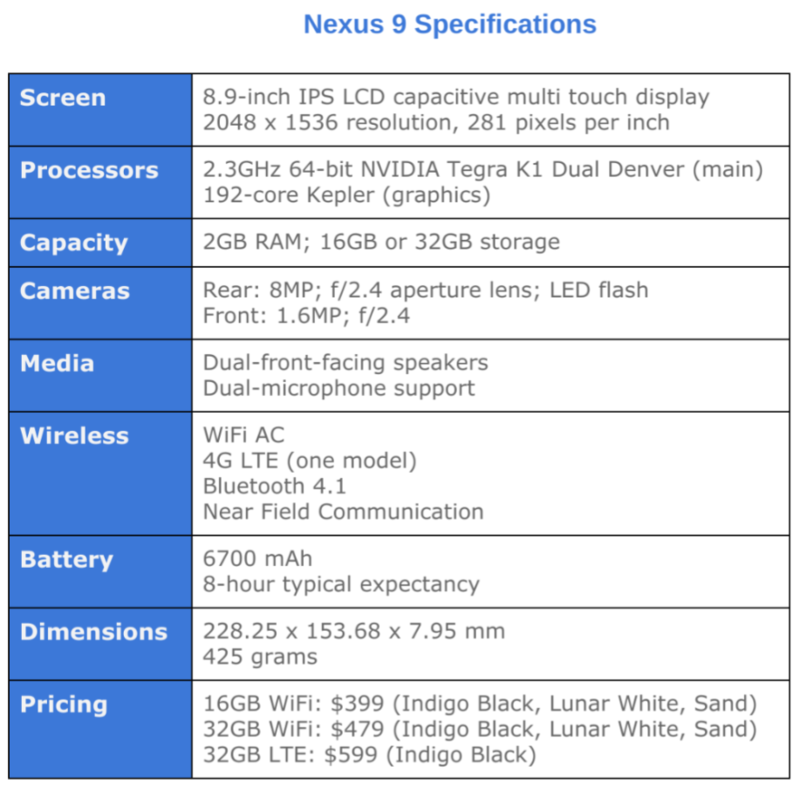 My May, lukewarm assessment begins: “t want to love Google-branded, HTC-manufactured Nexus 9. But ours is a contentious relationship”. I didn’t see value for the cost, particularly comparing performance to other tabs similarly priced. On Oct. 29, 2015, Amazon delivered a new N9, and the user experience dramatically differs from the previous device—so much I must revise my review. Days earlier, I parted with iPad Air 2 LTE. The family hopes to change cellular carriers, and there was opportunity to amicably relinquish my payment responsibility to Verizon. I would love to replace the Apple with Google Pixel C, but the tab’s forthcoming release date is uncertain. I reconsidered Nexus 9 and found the 32GB white model available from Amazon for $130 less than list price. I ordered, knowing that the device could be returned for refund if Pixel C imminently released or if N9 dissatisfied again. Lower price made buying and trying again an easy decision. Nothing was normal opening the box. For starters, the tab looked and felt nothing like the black variant previously possessed. Sturdy. Solid—and the dirtiest white I’ve ever seen. I immediately assumed that Amazon had shipped a Chinese counterfeit, or perhaps I had developed some kind of color blindness. Searching the InterWebs for N9 photos, I concluded: The box outside indicates white, but contains the stone-colored tablet within. That model isn’t sold by Amazon, by the way, at least not as the last week of October becomes November. While doing color research, I found forum posts among several sites where buyers of white Nexus 9 experienced light-bleeding problems that replacements didn’t solve. One remedy: Get stone instead. Lucky me. The mix up made me wonder if the seller shipped a refurbished N9, but by all appearances the packaging and tablet are new. This is only the second time that an online retailer shipped the wrong computing device. In February 2009, I ordered my second Mac—refurbished PowerBook G3—from PC Connection; listed as the 233MHz model, I received the 266MHz laptop instead. I watched my first DVD on the notebook, rented from Netflix (yeah, I’ve been a customer for that long). During my four months using the tablet, response occasionally hesitates and WiFi too often disconnects…Click and wait is too common behavior, and it is unacceptable for a tablet costing so much when the market measure is the ever-maturing iPad…Hesitation isn’t frequent but nevertheless occurs too often.The fluidity I have come to expect from Android is hit or miss on Nexus 9. I had no such experience the evening of October 29 or days following. Subjectively, the new Nexus 9 is as fast as, and in some ways faster than, my iPad Air 2. 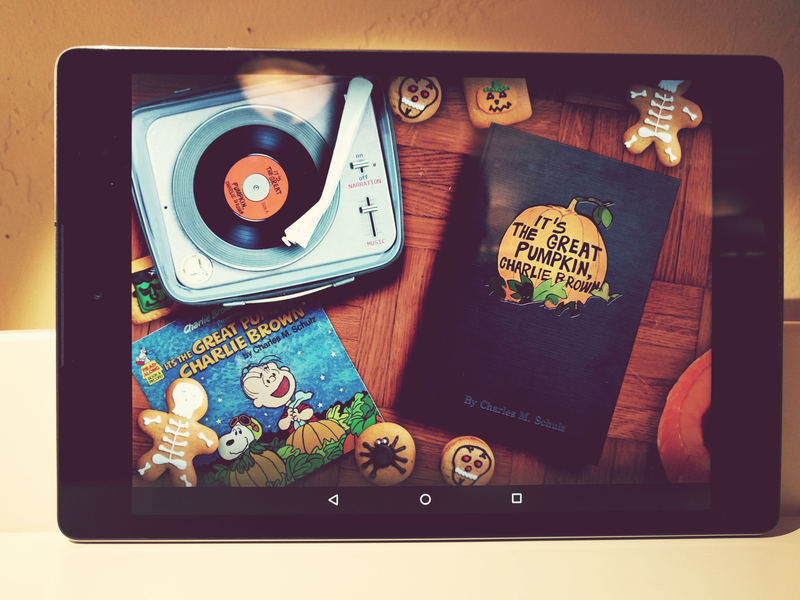 The Android tablet is smooth, and WiFi stays connected—all this while running Lollipop. After setup, N9 downloaded a successive series of updates—four, five, I don’t know how many—before offering Android 6.0 (aka Marshmallow). Oh yeah. I want to say that my switch from iPad Air 2 is no regrets, but I will miss the $35 year subscription to Nature magazine. The pub’s app isn’t available for Android, and the normal magazine sub is $200. But stone Nexus 9 is a satisfying tablet, particularly running Marshmallow—even a year after release. I am stunned, and remember this: My immediate comparative, subjective experience is Apple’s current flagship, which is larger, costlier, and presumably superior. Value looks better, too. Again, that wouldn’t be the case if: performance lagged as much on stone as black, WiFi disconnected occasionally, or the overall comparative feeling of device in hand was flimsy. Got to winder: Does HTC have a quality control problem, or did the company resolve manufacturing issues? Stone shipped months later than black or white, so the latter is reasonable. 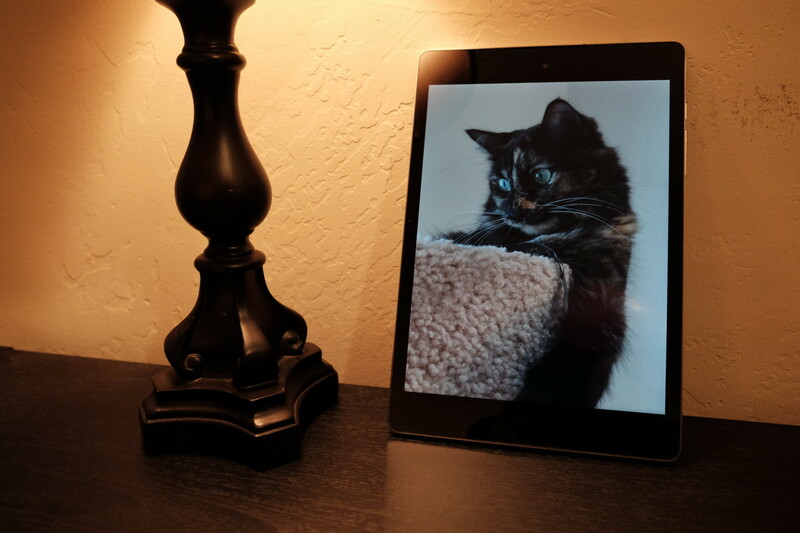 The Google tablet benefits from something else: Apple and Amazon, the other major digital lifestyle platform competitors, haven’t changed their devices dramatically in the year since N9’s release. Meanwhile, Android continues to gain app momentum against iOS (right, but no Nature), while Google’s Material Design pleases the eyes more than the tragically outdated iOS user interface. Where iPad mini 4 smacks Nexus 9 is storage, like the mini 3 did: 64GB storage for $20 more than the HTC tab’s 32GB capacity, which is the maximum available. The tablets are the same $399 for 16GB. That said, while Google and HTC still sell for list price, resellers discount, with Amazon being one example. As I write, the 16GB black is $316, while the 32 gigger is $382.22, from the online retailer. But 32GB white is less (and more than what I paid days earlier): $357.70—or $309 for 16 gigs. In some cities, all are available for free same-day delivery, which is the option I chose. Best Apple price-feature comparison is iPad mini 3, in white and gold and 16GB and nearly the same price as N9 white: $309.98 From Amazon; Apple offers the older v2 instead. The mini 3 silver sells for 5 bucks less. The iPad’s screen is smaller (7.9 inches compared to 8.9 inches) and display resolution is the same. The Android has twice the RAM and front-facing speakers. Both are big benefits. Let’s discuss some of the features and benefits. Size. Nexus 9 feels chunky in the hands, by comparison to its major contenders. The tablet isn’t as thin or petite, measuring 228.25 x 153.68 x 7.95 mm and weighing 425 grams. iPad mini 4: 203.2 x 134.8 x 6.1 mm and 298.8 grams. Granted the mini’s display is smaller. Amazon’s HDX 8.9, which screen is comparable size to the N9, measures 231 x 158 x 7.8 mm and weighs 389 grams. The HDX feels smaller, even being a tad larger, because of greater thinness and lightness. iPad Air 2 is thinner than all three: 6.1 mm. That said, Nexus 9 isn’t uncomfortable to hold, by any means. There’s a ruggedness to the feeling in the hands. Like Fire HDX 8.9, but unlike every slippier iPad, N9’s matte finish gives great friction. The HTC tab is not a device that easily slips from the fingers. Display. As previously mentioned, the IPS screen is 8.9 inches and delivers effective 2048 x 1536 resolution. Colors are muted rather than vivid or contrasty but nevertheless satisfying enough. Text is crisp. At 453 nits, Nexus 9’s display is brighter than iPad Air 2 (410)); benchmarks are courtesy of Phone Arena. Laptop Magazine presents different measurements. I expect that most buyers will be satisfied with the HTC tablet’s screen, which benefits from Marshmallow’s Material Design and other visual enhancements. Stated differently: Android 6 is a joy to view and use on Nexus 9. Neither Fire OS or iOS competently compare. Graphics and audio. Media consumption is excellent. Photos look gorgeous, as does streaming video, which gets a boost from the booming speakers flanking the display. There’s a 3D aural quality watching movies, Audio output through the headphone jack is excellent. Volume is more than adequate even for cheap earphones. Streaming from HBO, Hulu, Netflix, Starz, YouTube, and other sources is super smooth and stutter-free. Scrolling through Google photos is equally smooth, with greater fluidity and presentation than Apple Photos on iPad Air 2. Performance. What can I say? The stone tab I now own bears physical resemblance to the black N9 I used earlier in the year. But the overall user experiences aren’t comparable, mainly because of performance. The stutters and hesitations that made the other tablet unpleasant are gone. I enjoy using Nexus 9, which feels as current in 2015 as a year earlier. 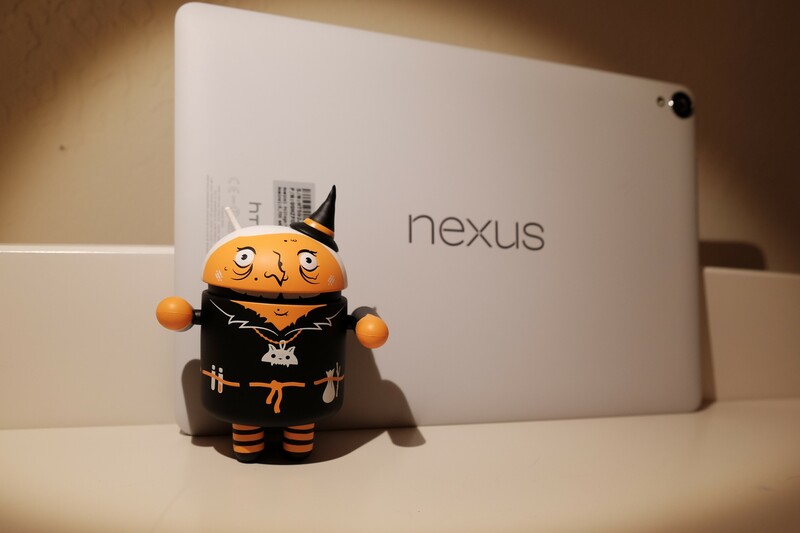 Seven months ago, I knocked Nexus 9 for its dissatisfying value-performance. Maybe I was shipped something defective. The two tablets could be made by different manufacturers, the user experience of one is so improved over the other. 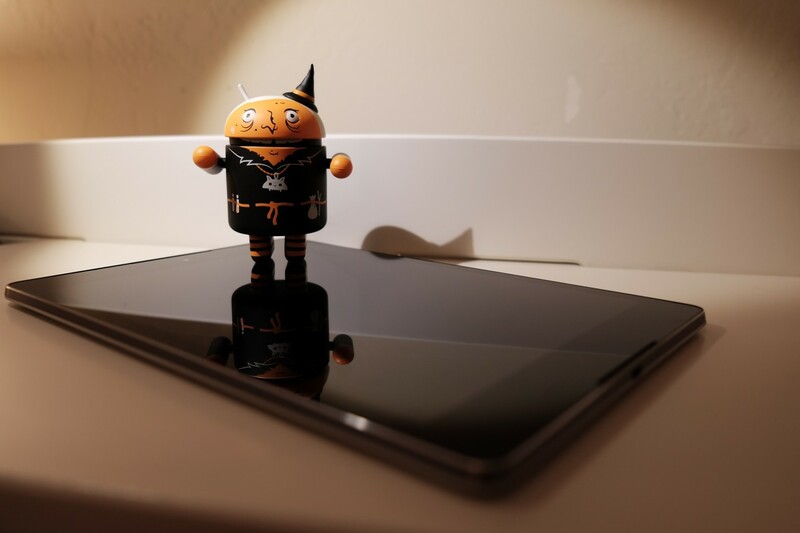 Retailers lower Nexus 9 prices; competing tablets marginally improve while costing about the same today as a year ago; and maturing Marshmallow makes modern Android set against outdated iOS. One is fresh, the other tired. I almost certainly will keep Nexus 9, even if I buy Pixel C as planned. If that’s not an endorsement, what is?